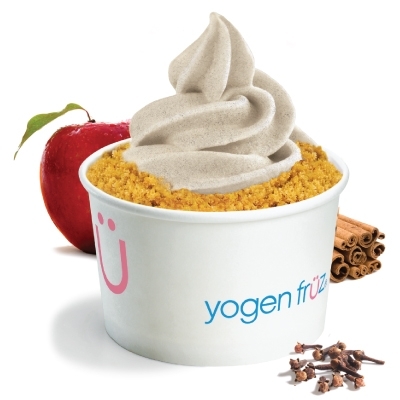 Low-fat vanilla frozen yogurt blended with real IQF apple slices, cinnamon, and topped with graham cookie crumbs. Try it with our no fat bar. * per 125ml / 4 oz.